People often ask me what my greatest sport’s memory is and are surprised when I mention Wimbledon Tennis in the summer of 1971. I was just 14-years-old and my father took me over to England while on a business trip. The purpose of his trip was to try to unite professional tennis into a cohesive and sensible business for the sport and the players. I remember while in England a writer by the name of J.L. Manning wrote an article that had the byline, “Lamar Hunt ruins the future of tennis”. A “Sports Illustrated” article from June 19, 1972 reminisced that, “Writers like J.L. Manning in the London Evening Standard would write, ‘Hunt is the all-time enemy of England.’ The whole English tennis Establishment and the whole English sporting press were saying, ‘We’ve got to hurt Hunt,’ and ‘We got to hurt the WCT.’ ” The background to this was that my Dad had formed World Championship Tennis (WCT) in 1968 and the business had not gone well. 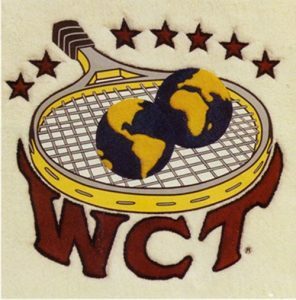 There was a lot of infighting between WCT and the tennis establishment in England however, the Executive Director Mike Davies came up with a plan to put WCT on the map. The Sports Illustrated article goes on to say, “WCT’s executive director and working head, the former Welsh tennis pro Michael Davies, takes up the tale: “By 1970 it was plain that WCT was going to be out of business within a year. I went into my hotel room for three days and I worked out plans for a World Championship of Tennis, and Lamar and I sat down to talk it over. I said, ‘The time is urgent. The time is right now, I want to go out and sign 32 players, the best players in the world, and I want to create the World Championship of Tennis, and I want $1 million to do it.’ We went over every last detail of the plan for four hours, and at the end of that time Lamar said, ‘O.K., let’s go.’ ” Needless to say, this got the attention of the tennis establishment at the All-England Club. I was there to take in some tennis (a sport I truly love to this day) and my Dad was there to fight a war but he went about it very quietly and really without much rancor. I hardly knew or was aware of what was going on. While the author of the article (with some hyperbole I might add), Jack Olsen, suggests that it was hard for my Dad to deal with this because it got personal, my perspective was that Dad took it in stride and it only strengthened him for the battle ahead. You see he had been through much worse as a younger man with the formation of the American Football League (AFL). George Halas, the founder of the National Football (NFL) did not take kindly to a bunch of young rich upstarts placing professional football franchises in non-NFL markets and upsetting the world of professional football. A war ensued and the AFL ultimately forced a merger with the NFL. I suspect my Dad had exactly this in mind as he tackled the world of professional tennis. He really wanted things to be better for the sport and the players. With some of the best tennis players of that generation playing elsewhere during the biggest tournament of the year, it was too much to take for the All-England Club and peace did ensue for many years until the mid-1980’s when the player’s association began to insert itself into the business and by 1990 World Championship Tennis was out of business. Players from that colorful era including Jimmy Connors, John McEnroe, and Rod Laver (who was older) would all say that Lamar Hunt and WCT changed the course of professional tennis significantly and all for good. So, what of my time and memories of being at Wimbledon in 1971 and why does this so stick out in my mind? Evonne Goolagong is why. You see, she was a 19-year-old tennis Phenom from Australia and an Aboriginee. The word in and of itself is not a formal word but it describes the indigenous people particularly of Australia and can certainly be used in a derogatory sense. 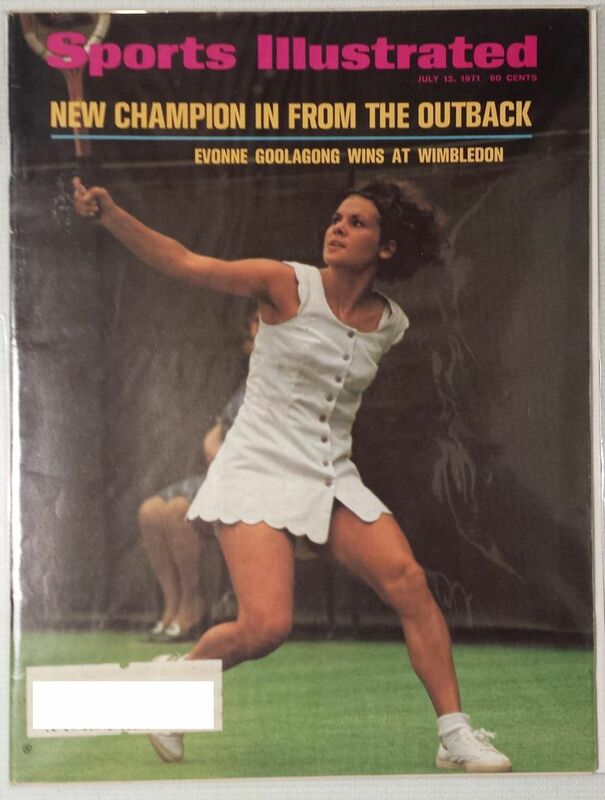 Wimbledon 1971 and a little history of the most elegant tennis player I ever saw, Evonne Goolagong. In the late 1950’s a young girl in Australia, age 7, looked through a fence at some other children playing tennis and the coach on the court noticed a longing to join the group, so he invited her over to the other side of the fence and she began to participate and learn to play tennis and she was extraordinary. What made it even more extraordinary was that she was an Aboriginal Australian from the Wiradjuri tribe, the 3rd of 8 children of a sheep shearer and his apparently very busy and illiterate wife. In a word, they were very poor and though this young girl stated years later she never experienced personally the prejudice that White Australians demonstrated toward the Aboriginal people, there was a fire and absolute elegance with what she could do with a tennis racket. Once she was identified as a tennis prodigy, she was given over to a coach and left home to live with a family where she not only perfected her tennis game but also, she received an education in the arts and the graces of an all-girls school. She was also sent to school to learn the skills necessary to become a secretary. It was predicted that she could win Wimbledon by 1974. The times I saw her play at Wimbledon were simply magical. She was graceful yet tenacious and her anticipation of her opponent’s shots were really something to behold. She literally took them apart and was never really in danger of a close match with either Billie Jean King or Margaret Court, beating them both in straight sets. Off the court my Dad had fought a hard business battle that was as yet, unsettled. On the court, Evonne Goolagong made us all remember what sports can really be about. Grace under pressure.